Latest In Beauty have released a brilliant sampler discovery box for the new Polyphenols C15 range from Caudalie. 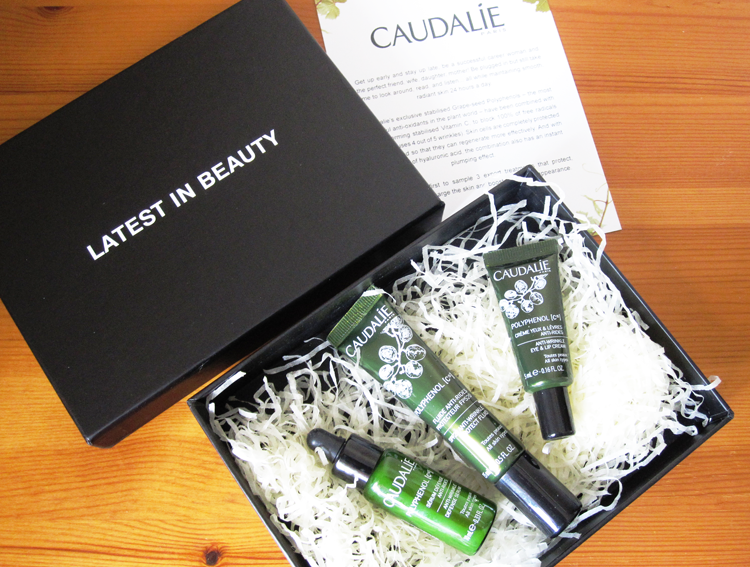 I've seen quite a few raves already about the new Caudalie Polyphenols C15 range, so I was delighted to get my hands on this exclusive box from Latest In Beauty. The range is primarily anti-aging, but is also one that I think will appeal to any skincare fan who is looking for a new way to protect their skin against those pesky free radicals! Each product is packed with Grape Seed Polyphenols (the most powerful antioxidant in the plant world) and Vitamin C - combined they form a layer of protection from the elements and help skin cells to regenerate more effectively. Added to this is Hyaluronic Acid, which we all know for its hydration benefits and ability to instantly plump up the skin to make it more youthful. Caudalie Polyphenol C15 Anti Wrinkle Defense Serum (10ml), Caudalie Polyphenol C15 Broad Spectrum SPF 20 Anti Wrinkle Protect Fluid (15ml) and Caudalie Polyphenol C15 Anti Wrinkle Eye & Lip Cream (5ml). Worth over £28, this is a great way to sample the products before buying the full sizes! Caudalie Polyphenols C15 Discovery Box* is £9.95 (with free postage) and is available exclusively from Latest In Beauty. 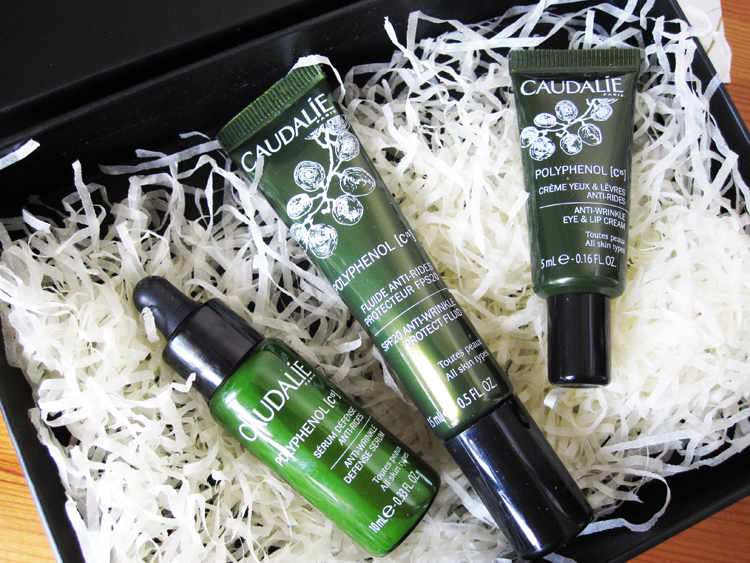 Will you be picking up this new Caudalie box? Seems like a good box! I actually have some Caudaile samples at home... I should try/use them! I've seen so many beautybox posts today. I'm really wanting one myself, I love the look of the Caudaile samples. That's a brilliant deal! Can easily see myself taking advantage of that! Latest In Beauty always do brilliant boxes. Great value too. I got this serum from the launch and it is soooo good. Feels so nice on the skin! Aaah, love the sound of this! Definitely tempted to try them out too.